Safety: use in "uncrossed legs" configuration doubles capacity, but the "cross-legged" configuration should be used preferably. 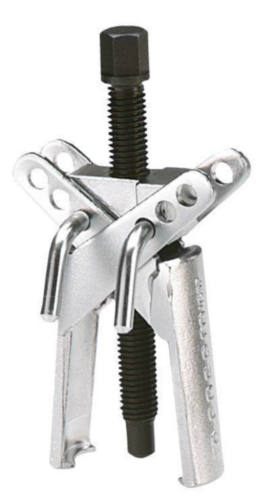 Adaptable puller accessory: slide hammer U.306M for U.35 and U.35L. Set of 2 spare pins: - U.42-5J2 for U.35P. - U.35-5J2 for U.35 and U.35L.